Akiyo Fujita was born and raised in Japan until the age of 15. In 1990 she left for UK to join the Ballet School in London. Pilates was a part of the training curriculum. In the very first year of dance training, Akiyo injured her foot that led her to take an intensive Pilates Training as a part of her Rehab program for several months.Pilates made her to discover the importance of the balance between strength and flexibility for the healthy functional movement. Pilates helped maintain her body condition throughout her dance training and dance career with major ballet companies in Germany. Akiyo worked in the different fields of business in UK, Germany and Japan after she stopped dancing. She took BASI Pilates Mat Teacher’s Training Course in London, taught by Mr. Amit Younger and certified in 2008. Being pregnant with her first child in the same year, she joined a Teacher’s Training Course for Pre- and Postnatal Pilates specialists and certified by the Center for Women’s fitness. 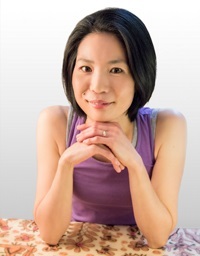 Akiyo discovered the great benefit of Pilates in each stage of her life and was inspired by this method with mind and body approach. She opened her own Pilates studio in Berlin in 2012. She completed BASI Pilates Equipment Course in Berlin and become a fully certified studio trainer in 2015. 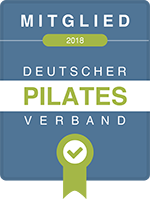 Since August 2018, Akiyo lives in Munich and has become a team member of Pilates House!